The third Eagle Hour of the semester discussed with students how they felt about vaccines. Johnson described the four types of vaccines: attenuated (weakened) live viruses, killed (inactivated) viruses or bacteria used in some vaccines, toxoid vaccines that contain an inactivated toxin produced by the bacterium, and conjugate vaccines (such as HIB) contain parts of bacteria combined with proteins. She described the recommended vaccines; Chickenpox (varicella) vaccine, Diphtheria, tetanus, and pertussis vaccine (DTaP) (toxoid), Hepatitis A vaccine (HepA), Hepatitis B vaccine (HepB), HIB vaccine. (Conjugate), Human papillomavirus (HPV) vaccine, Influenza vaccine, and Measles, Mumps, and Rubella vaccine (MMR) (attenuated/ weakened). The discussion started with, “If you have kids, will you vaccinate them? Why or why not?” The students responded that they would vaccinate their children with all of the recommended vaccinations except for the Influenza vaccine (flu shot) because they do not believe it works. Zak Konakis, a USU Eastern Career and Technical Education adviser and a strength and conditioning coach with a master’s degree in public health, weighed in on the conversation. He vaccinated his children, but like the students, he agrees that to some point the influenza vaccine does not help the majority of the population. Konakis said the influenza vaccine does work for the type of influenza it is treating and should be given to the old, the young and those who work with them. 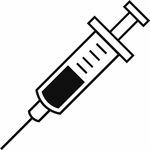 He explained the reason you may still get the flu after you receive the vaccination is because the influenza virus changes from season to season, so you may be vaccinated for one strain and get another. “Herd immunity” is a concept that, if enough people are vaccinated, they can protect those who cannot have the vaccine. The students agreed that herd immunity works and a student told of how they got meningitis while in school because they had not gotten the vaccine. The student and their mother believed someone from school passed it on. The answers were mixed. Some of the students said that they were scared of doctors and that they do not spend enough time with their patients to know what is best for them. While other students explained what is great about America is being able to pick and choose who your doctor is. If you do not trust your doctor you can find another you do trust. Many of the students agreed right away that the benefits do outweigh the risks, they protect those who get them and those who do not get them through herd immunity. One student said that even if a vaccine were to cause a mental disability they would rather have their child have that disability than die from a prevented disease. One of the students said that it should not be legally required but that it should be highly recommended. Some students said that it should be up to schools to decide whether or not children should be vaccinated (if they are to attend). Konakis jumped into the conversation saying the government does have the power to quarantine and exclude people from places (like schools) if the risk is high enough. There are many sides to the issue, like all controversial topics Eagle Hour brings to the table. The open forum is there, so that students feel they have a safe place to share their opinions and to hear and learn from the opinions of others.